The district of Ala Moana offers world class shopping, entertainment and gorgeous scenic sights. 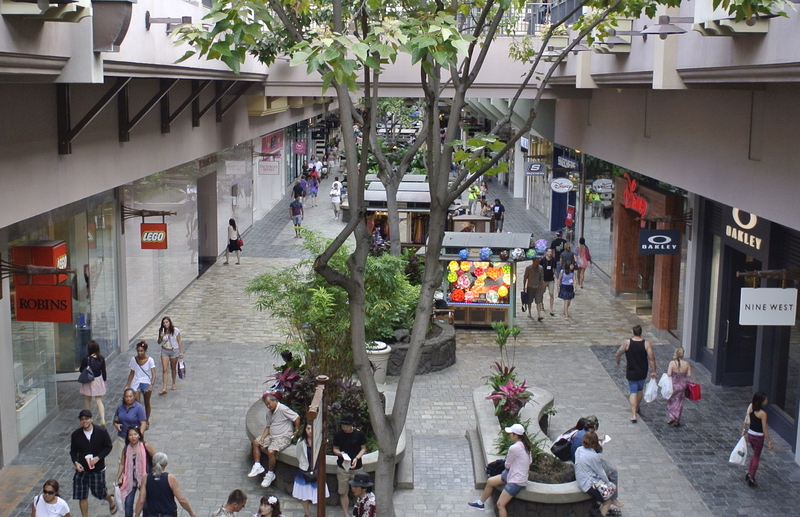 Although small in size, Ala Moana is the home to the largest open-air shopping center in the world! It also has the privilege of hosting gorgeous, pristine beaches, a wide variety of outdoor sports opportunities, and incredible culinary experiences to boot. Check out the top 10 things to do and see while exploring this corner of Oahu! The Ala Moana Center is the largest open-air shopping center in the world and the seventh largest mall in the United States. The center feels like a natural extension of Hawaii’s beauty with its open design and abundant vegetation and is a far from being one of those conventional malls. Ala Moana features over 290 merchants of luxury brands and local specialty stores, as well as fine-dining and an international food court. The center also transforms into a Hula show Monday through Saturday at the Centerstage, where the traditional Hawaiian dances erupt in all their glory. The Ala Moana Beach Park is the other main attraction of the neighborhood. Travelers and locals come here to get away from touristy Waikiki Beach and enjoy the peaceful scenery that abounds. There are jogging and biking trails, tennis courts and amenities for every outdoors sports activity going. The beach is a mile long and has calm blue waters instead of the wavy ones found across on the North End. However, it is perhaps the spectacular sunsets that draws quite so many people to this peaceful park in the evening! This is a great option for families looking to immerse their kids in a fun environment while learning about the world around them and the natural wildlife of Hawaii. Children here can dress up and pretend to be a firefighter, a judge or a store clerk for the day to learn about different professions. They can also climb a tree in the Rainforest Room, or play with a water table that simulates ocean currents. The possibilities are endless! Yes sir, there are wonderful discoveries awaiting for the whole family at Hawaii’s Discovery Center. MTB, Mai Tai Bar, is an open-air bar placed on the very top of the Ala Moana Center that serves refreshing tropical drinks and offers excellent happy hour deals. 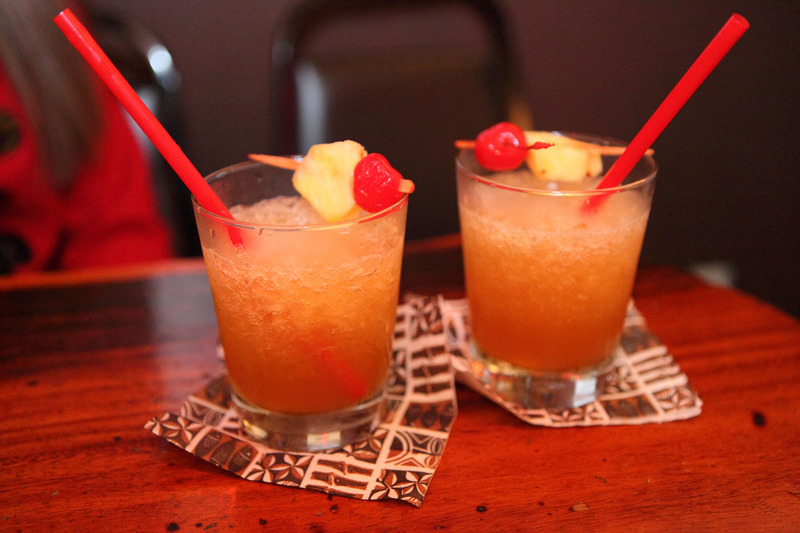 This award winning bar was voted 1st place in the best bar category by the Honolulu Pulse Awards. MTB gives patrons a true taste of island living with drinks such as the lava flow infused with coconut rum and its phenomenal live music. Make sure to also get a side order of the zesty calamari appetizer to pair with a drink. A good time is always guaranteed here! Dive into the watery underworld of Hawaii by taking a scuba diving lesson! The instructors at Rainbow Scuba are top-notch and will make customers feel safe at all times. The lessons have a laid-back attitude to them while still remaining professional. Beginners or more experienced and trained divers can enjoy a lesson from the instructors here. They will explain everything about the different fish and the marine life to be found below the depths of the surface. Some of the sea creatures visible are turtles, octopus, sharks, and rays, so remember that underwater camera for this one! Try something new by going deep sea fishing on the island of Oahu! Maggie Joe Sport Fishing was first established in 1950 and is the oldest and most experienced charter fishing business based in Honolulu. They provide customers with state-of-the-art equipment in order to catch some big game. It’s not unusual for yellowfin tuna, skipjack tuna, mahimahi, blue marlin and wahoo to be caught in these waters, meaning there’s plenty to get excited about when heading off on an excursion with these guys! The Kaka’ako Waterfront Park is also known as Point Panic Park because it’s the home to a popular bodysurfing spot just located off the shore at its east end. It’s hard to imagine this wonderful waterfront park was also once the former site of a landfill because what lies here now is a vast and spacious area perfect for a barbecue or a picnic, or just a relaxing day under the sun. Kaka’ako is also a popular diving location and a romantic setting for couples thanks to the spectacular views and the lovely sunsets. What’s a trip to Hawaii without dancing the night away” Rumors Dance Club is one of Honolulu’s hottest nightclubs and is located right inside the emblematic Ala Moana hotel. The music here is great, featuring hits from the 70s, 80s, and 90s decades for “Flashback Saturdays”. The stage also has two dance cages for those looking to show off their moves above the rest of the crowd. Go back in time for a few hours and feel the best of Hawaii’s vibes while getting comfortable in this unique club. Aloha! Vintage Cave in Honolulu is a culinary experience like no other on the islands of Hawaii. Located below the Ala Moana Center, customers will enter a cave-like environment leading to an elegant room decorated by Picasso paintings, glamorous chandeliers and fine crystals. The menu offers new American fare with Japanese-inspired elements, while the owner of Vintage Cave is an art collector who wants guests to experience a combination of both beautiful art and exquisite food to create a one-of-a-kind treat for the senses. The Magic Island Lagoon is a hidden treasure usually reserved for in-the-know locals. Located off one end of the main Ala Moana Beach Park, this idyllic beach is perfect for relaxation. The views from the lagoon are some of the best on Oahu and offer a direct view of the Honolulu skyline and to the boats that constantly come in and out of the adjacent marina. This is also an ideal location to catch a great view of Diamond Head and of the weekly fireworks show the Hilton Hawaiian Village puts on every Friday.